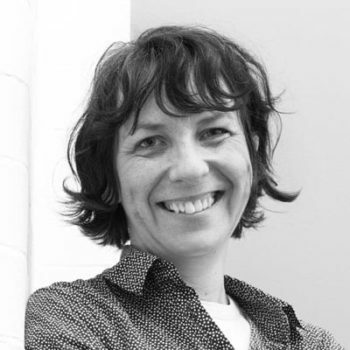 Kate Oakley is Professor in Culture and Creative Arts at the School of Culture & Creative Arts, University of Glasgow. She is conducting the research projects in our theme on the role of the arts and culture in developing visions of prosperity. Kate Oakley is Professor in Culture and Creative Arts at the School of Culture & Creative Arts, University of Glasgow. She was previously Director of Research at the School of Media and Communication, University of Leeds, Head of the Centre for Cultural Policy and Management at City University, London and a Visiting Professor at the University of the Arts London. Her research interests include the politics of cultural policy, labour in the cultural industries, and inequality. She came into academia following careers as a journalist, market researcher and civil servant and for 15 years she ran a successful consultancy and research business in the cultural sectors. Her portfolio of projects included: work on cultural and creative industry strategies; work on the social impacts of culture and the arts; work on skills and employment in the cultural industries and cultural policy advice at a variety of spatial levels. Aiello, G., Tarantino, M., and Oakley, K (Eds). 2016. Communicating the City. Peter Lang. O’Brien and K Oakley 2016. Cultural Policy, Routledge Major Works Edition. Routledge. Oakley K and D Bell 2015. Cultural Policy. Routledge. Oakley K, Hesmondhalgh D, Lee D and M Nisbett 2015. Culture, Economy and Politics: the case of New Labour. Palgrave. Oakley, K, Ball, M and M Cunningham. 2018: Everyday Culture and the Good Life. CUSP Working Paper No 9. Guildford: University of Surrey. Oakley K, Ward JR 2017. The art of the good life: culture and sustainable prosperity”, Cultural Trends, Vol 27(1).